Will Steam Cleaning Hurt our Carpets? NO, Never! We are Truck Mounted Steam Cleaning System. Our type of deep restoration steam cleaning, is recommended by the largest carpet Manufacturer in the Country. Will My Carpets get dirty faster after the First cleaning? No. Not with us. We use a NON-RESIDUE cleaner, on your carpets. Plus, if youhave us apply a carpet protector, your carpets may even stay cleaner longer. Should I be worried about steam cleaning hurting my floors in my Coach House/Mobile Home? NO. Our Steam pressure is regulated and NEVER passes your carpet backing. (That is a "scare" tactic used by some other cleaners, in order to get your business). Should I spend money on Carpet Protectors such as SCOTCHGUARD? carpets come with a protector it is removed with cleaning, so most manufacturers recommend you to re-apply a protector such as Scothguard after each cleaning. This will help protect your carpets between regular scheduled cleanings. What causes stains to re-appear? Deep Spills or Residues from spot cleanings may cause a stain to re-appear. Call us for specific spill questions, so we may recommend clean-up methods until we can get out to look at your carpets in person. Call anytime! How long is "Drying Time"?/ When can I walk on the Carpet? It varies in every house depending on temperature and good airflow. We tell everyone drying time usually is between 12 - 24 hours. It varies in every house depending on temperature and airflow. With GOOD Airflow, drying time is usually less than this. In any case, it is safe for you to walk on your carpet immediately after cleaning as long as your feet or shoes are clean. 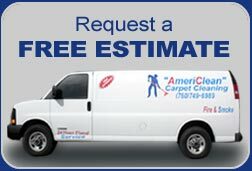 Remember- We LOVE answering any and all questions regarding your carpets, tile, and upholstery cleaning, so CALL OR EMAIL US ANYTIME!